On sale now, sort of. These are tough times for America’s most famous Sriracha. While Huy Fong founder David Tran — the guy who makes the green-capped, rooster-emblazoned bottle you see everywhere — continues his long municipal headache in Irwindale, California, his competitors are looking to strike with their own versions. The latest, and perhaps most threatening, is Tabasco. In fact, the hot-sauce giant has already launched its brand of Sriracha, but for some reason, the company appears to be keeping it a secret. Tabasco Sriracha Sauce is a limited edition product, currently only available through the Tabasco Country Store. As McIlhenny Company develops new products and innovations, occasionally they are shared with fans through the Country Store. Tabasco Sriracha Sauce is made with red peppers and has the slightly sweet and garlicky taste of a traditional sriracha sauce with the signature Tabasco Sauce balance of vinegar. It makes you wonder why the company would release this product at all. It could be to capitalize on Tran’s current problems, or maybe the company really does just want to offer it to fans first. Either way, if and when Tabasco goes big with its Sriracha, the implications for the Thai hot-sauce industry could be huge: Tabasco, which is still a family-run business, is in 166 countries — where it routinely outsells the spicy competition, including local brands. 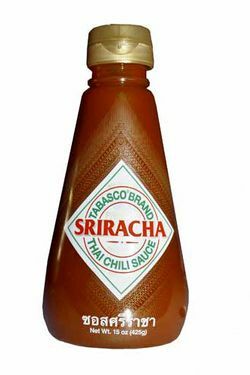 It doesn’t matter that connoisseurs may dismiss the brand’s acrid, vinegary taste — the company’s unparalleled distribution means that, once it’s really released, Tabasco-branded Sriracha could quite easily become the world’s most-consumed version of the sauce on the entire planet.